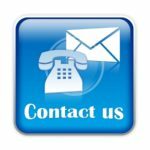 For Dish installation, service and repair, or consultation on upgrades and service choices be sure to contact us first! We are Central Iowa’s best deal in satellite tv programming and high-speed internet service. Nobody works harder than GreenBelt Satellites to provide the absolute best Dish experience possible. Don’t be fooled by a shady dish sales companies or flyers advertising suspiciously low service prices. These outfits are scams and once the introductory rate runs out, your bill goes sky-high! Our service rates are 100% honest & up front, no surprises. Whether you need premium tv programming or high-speed internet service we have your solution. GreenBelt Satellites is an authorized retailer for Dish Network, DirecTV and Exede – the biggest and best Dish services available. Contact us for great prices and unbeatable service. We service all of Central Iowa including Iowa Falls, Ackley, Eldora, Hampton and the entire surrounding area. Call (641) 648-5410 or email us using the contact form below. If you have a question or comment about your experience with GreenBelt Satellites please let us know – we appreciate feedback of all kinds! Please provide some information about your inquiry.